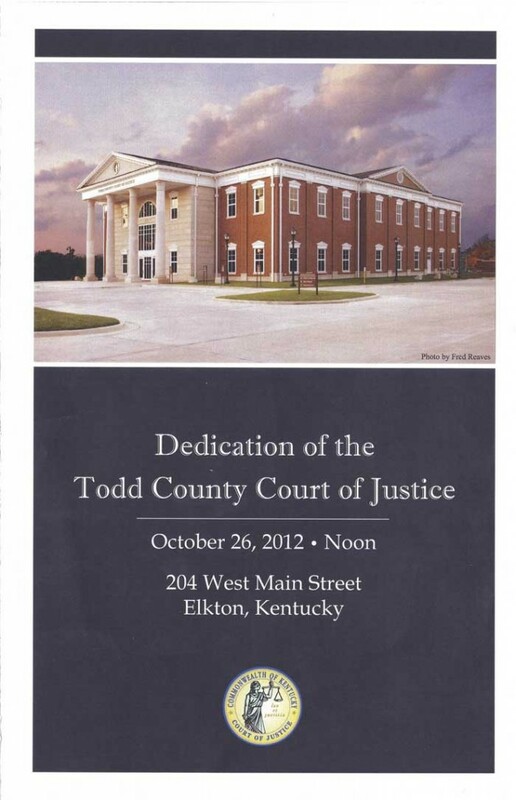 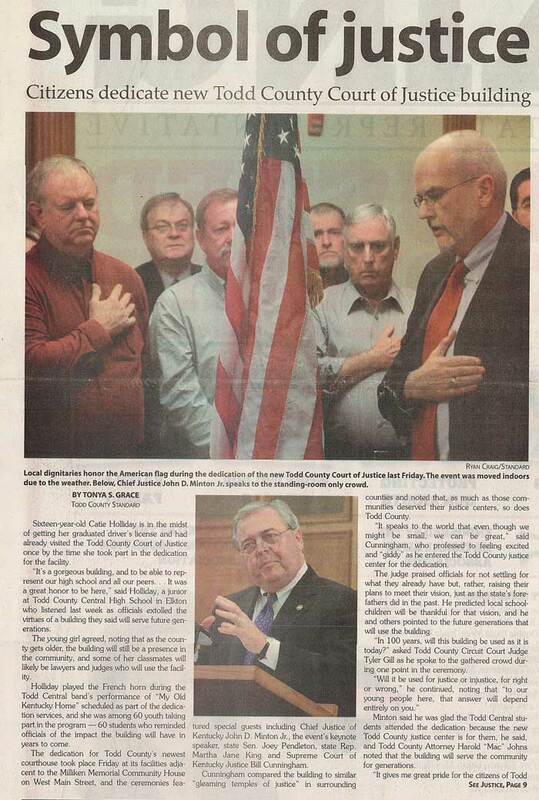 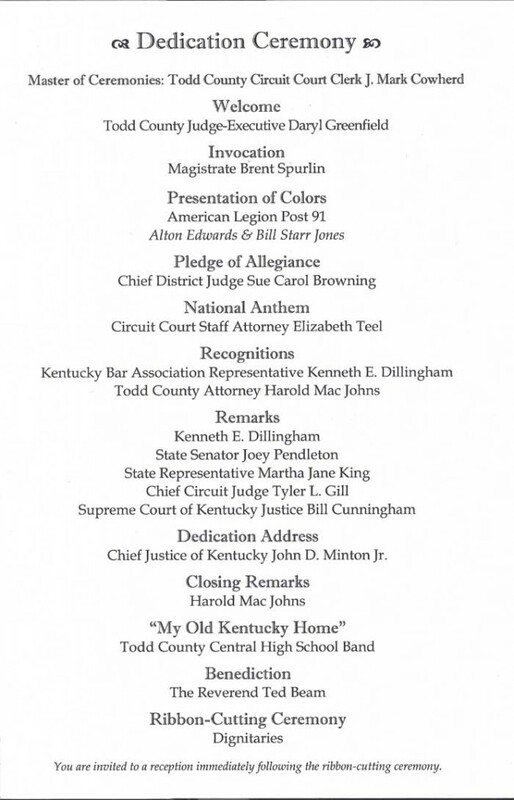 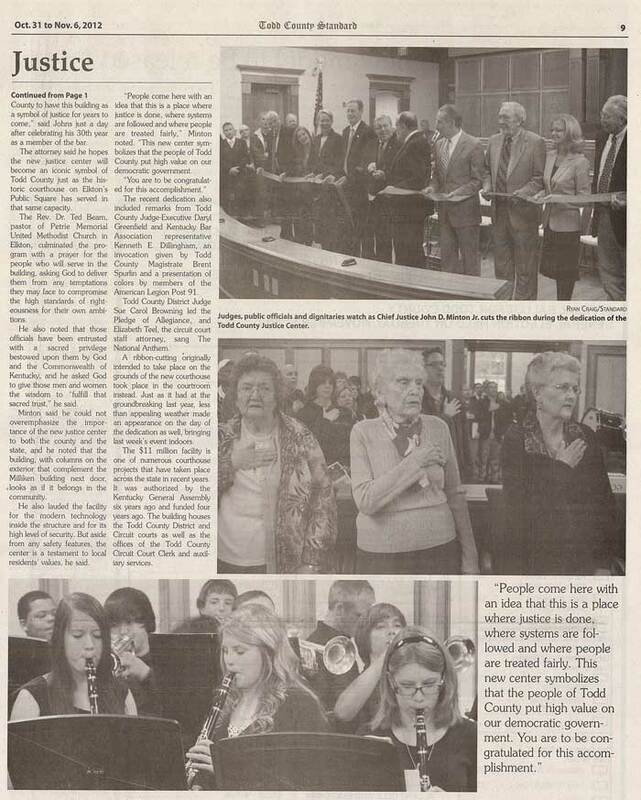 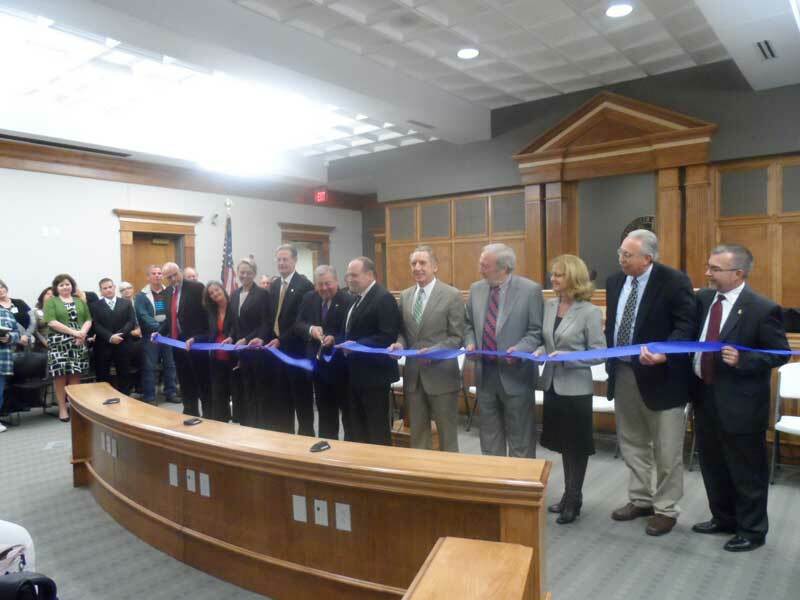 On October 26, 2012, the Dedication of the Todd County Court of Justice Ceremony was held. 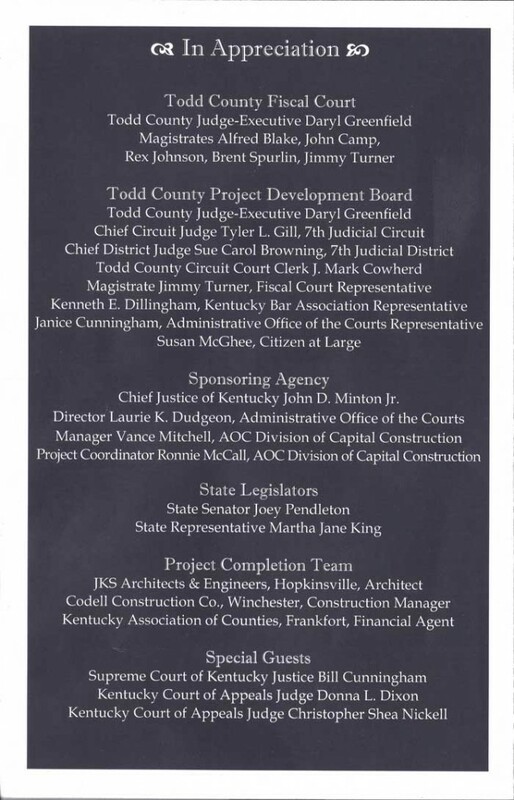 Below is the program from the event itself as well as an article about the ribbon cutting ceremony. 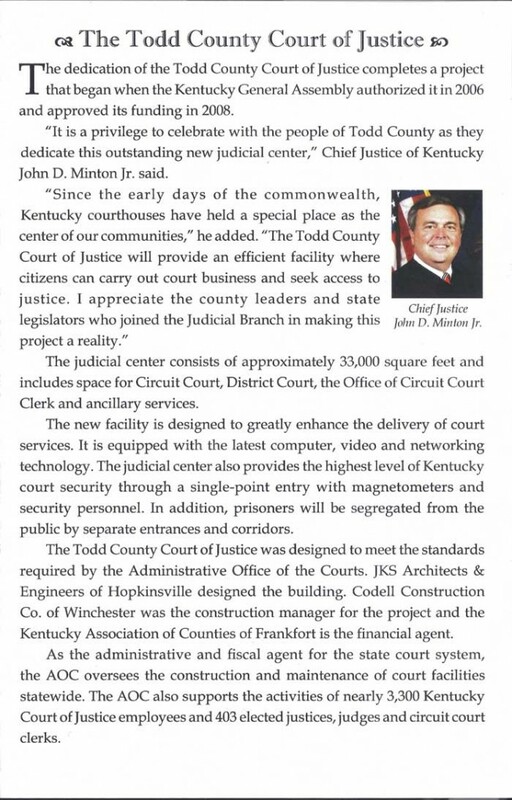 Click here to view more photos of the Todd County Justice Center.